Oh? It does appear that the player who the club offered an extension to, giving him 10-and-five rights, is still “stuck” with the club – or is it that the club is “stuck” with him? This, apparently, came after both Walt Jocketty and Price had praised the club’s new, future second baseman, Jose Peraza, who was acquired from the Los Angeles Dodgers in the three-team deal that sent fan favorite Todd Frazier to the Chicago White Sox. Oh? So, the team that has spent the whole offseason trading away their talent for lesser talent is now going to try to make the upcoming 90-plus loss season the fault of a 35-year-old who refused to move away. At one time, that was called loyalty. It was waiting out the horrendous contract that Hall of Fame shortstop Barry Larkin was given to finish his career in Cincinnati, but, now…Phillips is the problem. He’s blocking the super prospect now. The problem with this thinking, however, is that the Reds acquired a “ready” talent without knowing that they were going to be able to deal the veteran. This is the equivalent of the club dealing for young talent and acquiring the top first base prospect in baseball. Without the designated hitter, the kid would be riding the pine in favor of Joey Votto. 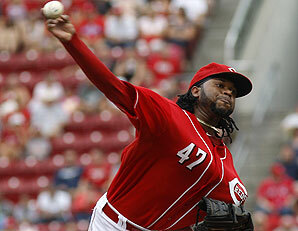 So, why are the Reds pinning this stall in the rebuild on a player? This fiasco is the fault of Walt Jocketty and Walt Jocketty only. 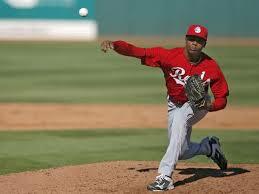 Major League Baseball is not the NFL – you don’t need multiple, elite play-makers at a single position. You need to have a steady flow of talent within your minor league system, and you deal a player like Yasmani Grandal when you have a Devin Mesoraco ahead of him for the long-term. That made sense four years ago when the club was dealing young talent for proven talent and acquiring Mat Latos from the Padres. Now, Jocketty has a very unimpressive farm system that has a dearth of offensive producers, even after dealing Johnny Cueto, Mike Leake, Aroldis Chapman, and Frazier since last July. Jesse Winker is the great hope for the future, and he profiles as a corner outfielder who is going to hit about 15 home runs, and if you think Peraza is the answer…you have that scum Phillips blocking him at second. 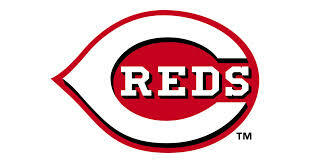 The problem continues to be the Baseball Operations side of things in Cincinnati. The organization continues to try to pass the blame elsewhere, but it starts and finishes there. 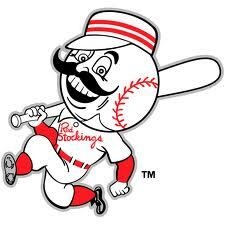 For a positive change in Cincinnati, it is Jocketty who needs to go. Quit with the small-market nonsense. Get someone in there with a plan that can work. 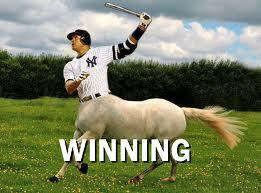 ARod is dropping some A-Bombs, carrying the New York Yankees offense. He leads the team in average (.344), on-base percentage (.432), slugging (.781), OPS (1.214), home runs (four), RBI (11), and hits (11). He is also tied for 6th in MLB is strikeouts (12), leaving the box empty-handed in 32.4 percent of his 32 early-season at-bats. 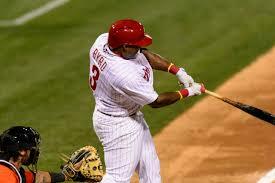 He’s on pace for 65 home runs and 178 RBI in 2015. 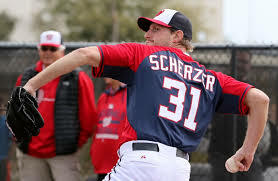 It would be an interesting story, especially if he rebounds and returns to his prior elite-levels without cheating, but he’ll turn 40 in July and the Yankees can’t run him out there daily with the laundry list of health issues that he has dealt with over the last couple of seasons. Where does he end up, though? The strikeouts will likely continue due to the slower bat, but there appears to be plenty of pop left…when he makes contact. 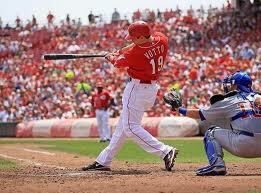 Talk about a fantasy stud, Votto is on-pace for a .350/.480/.750 season with 59 home runs, 147 RBI, and 29 stolen bases. There has been quite a bit of hatred for Votto over the last couple of seasons in Cincinnati, ranging from people questioning his time away (due to injuries) and his unwillingness to swing the bat. Still projected to walk 147 times this season, based on his 20 percent current walk-rate, Votto looks healthy and primed to prove his 2010 MVP season wasn’t his only magnificent effort. His salary will inflate in 2016, as Votto is due $199 million in guaranteed money from 2016 through 2024. .550/.609/1.125 with 118 doubles, 191 runs scored, 74 home runs, and 162 RBI – who says Dodger Stadium is a tough place to hit. These would all be personal bests for Gonzalez and put the soon-to-be 33-year-old on the radar for best player in baseball. We’ll see if he can hold off Mike Trout for that title. If it had to be the shoes for Michael Jordan, it has to be the fat in the elbow for Colon. 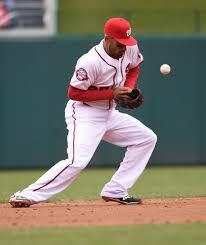 The Nationals shortstop has a whopping seven errors in his first 11 games, which puts him on pace for 103 errors in the 2015 season. Unfortunately, that won’t break the MLB record of 122 in a season, but it WOULD be the most by any player since the start of the 20th century. Here’s to hoping he gets back on track…or at least begins to understand that his hands aren’t made of stones. Are there any other projections that have impressed you early this season? Send them my way in the comments.